The Gondo factory is operated by the New Kiriti Farmers Cooperative Society (F.C.S. ), which has 560 members. Coffee is picked and brought to the factory that same day for selection and separation, as sorting happens before depulping begins. The ripe cherry is processed using fresh water from the local Kananahu stream, and the coffee is dried under full sun. The New Kiriti F.C.S. has an executive committee of seven elected members and three supervisory-committee members who oversee the management committee and reports to the farmers in an annual meeting. The society has a workforce of 19 permanent staff and about 25 seasonal workers. In 2010, the New Kiriti Farmer’s Cooperative Society started working with Technoserve, a not-for-profit which works with enterprising people in the developing world to build competitive farms, businesses, and industries. They were part of the Technoserve coffee initiative, an eight-year project funded by the Bill & Melinda Gates Foundation to help smallholder coffee farmers in East Africa increase their productivity and incomes. New Kiriti received training from TechnoServe business advisors on business and financial management, including record-keeping, environmental sustainability, and occupational health and safety practices. “We really didn’t know any of these things. We were very, very far away. But now we are closer,” said Stephen Thuo, secretary manager of New Kiriti. 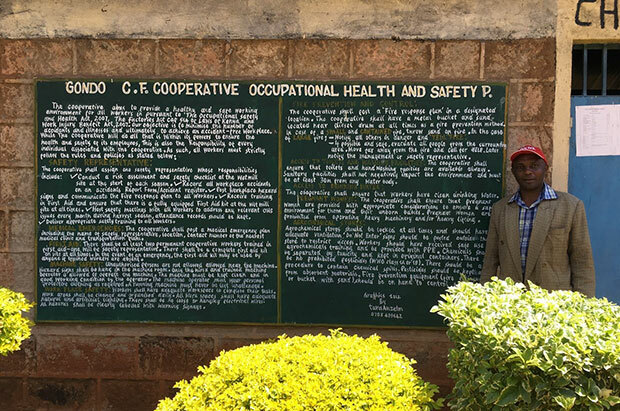 New Kiriti also received training through the Coffee Initiative on labor management to improve worker conditions. Business advisors encouraged management to pay workers according to government minimum wage policies, and today they have exceeded that rate by paying their workers 250 Kenyan shillings a day. In addition, New Kiriti grants each worker 30 days of unpaid leave a year as well as maternity and paternity leave. When workers exceed their expected hours of work, they receive overtime pay. “We used to have to borrow money to pay salaries from the banks. Now we pay workers on time and we have the money from our own production,” said Stephen. The training has helped New Kiriti care for its community of workers and farmers, which will help their families. Adhering to socially responsible practices is making the cooperative more successful, ensuring a sustainable and lasting business in the larger community. 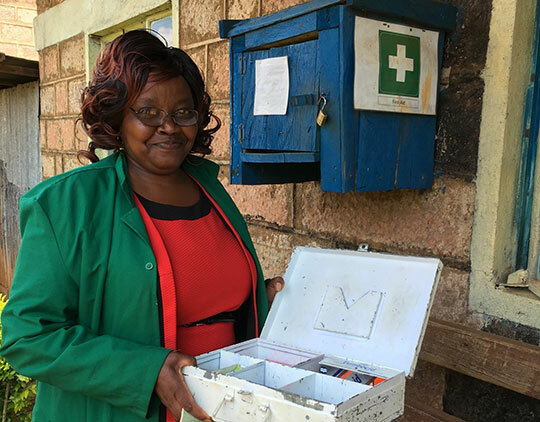 Read more about New Kiriti’s work with Technoserve. What makes up Kenya Gondo AA?